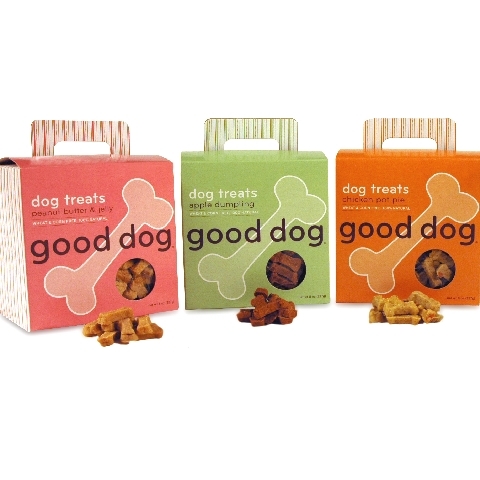 Good Dog Treats are wheat & corn-free and come in four unique flavors. The tiny bone shape makes them the perfect training treat. Ingredients: Oat Flour, Rolled Oats, Chicken Broth, Potato Flour, Carrots, Celery, Oil, Egg, Baking Powder. Guaranteed Analysis: crude protein 10.7% min., crude fat 8.5% min., crude fiber 3.1% max., moisture 9.9% max.